Stars are born in big clouds of gas and dust in the Universe. Young stars are very hot and make the gas in the clouds glow brightly, which means that we can see these clouds through telescopes. 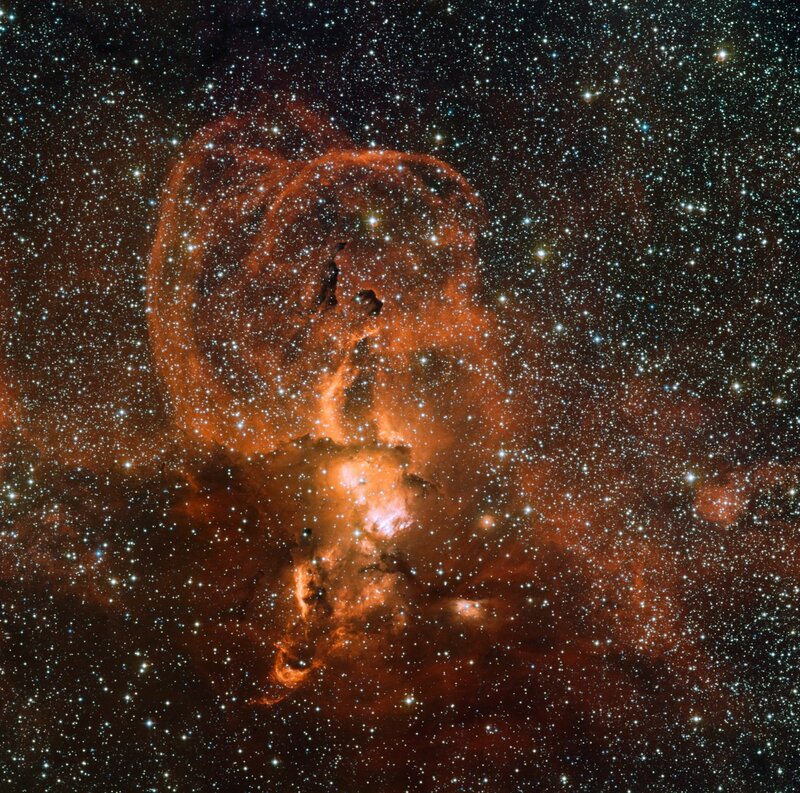 This amazing new picture shows a small part of a cloud in our own galaxy (called the Milky Way) in which stars are being formed. In the picture you can see bright arc shapes in the cloud, but what created them is a mystery. One possible answer lies in what happens to stars as they grow older. Some of the stars in the clouds are unusually heavy — much heavier than our nearest star, the Sun. These heavy stars are greedy and gobble up the fuel that they use to shine much more quickly than lighter stars. When all of their fuel is gone, these massive stars explode in what is called a supernova explosion — the biggest firework display in the Universe! Astronomers think that a supernova explosion might have created the weird arc shapes in this picture, which would solve the mystery and make this a great souvenir of the cosmic fireworks! This is a kids version of ESO Press Release eso1113.